Lama Thubten Yeshe was born in Tibet in 1935. 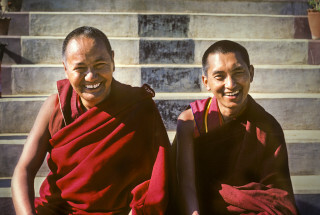 At the age of six, he entered Sera Monastic University in Tibet where he studied until 1959, when as Lama Yeshe himself has said, “In that year the Chinese kindly told us that it was time to leave Tibet and meet the outside world.” Lama Thubten Yeshe and Lama Thubten Zopa Rinpoche, together as teacher and disciple since their exile in India, met their first Western students in 1965. By 1971 they settled at Kopan, a small hamlet near Kathmandu in Nepal. 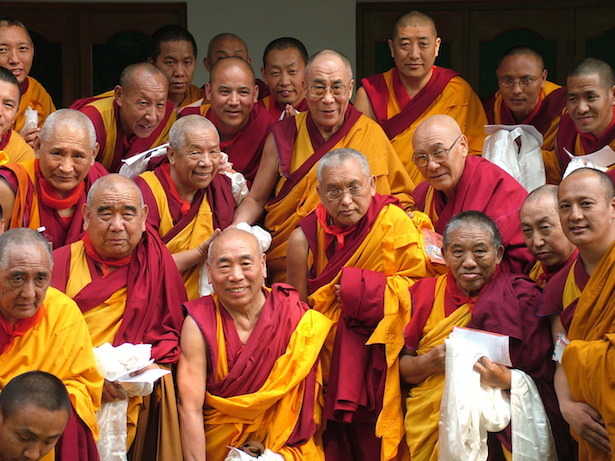 In 1974, the Lamas began touring and teaching in the West, which eventually resulted in the establishment of The Foundation for the Preservation of the Mahayana Tradition. Lama Yeshe died in 1984. Read more about Lama Yeshe..
Lama Zopa Rinpoche is a Tibetan Buddhist scholar and meditator who for 30 years has overseen the spiritual activities of the extensive worldwide network of centers, projects and services that form the Foundation for the Preservation of the Mahayana Tradition (FPMT). Born in the Mount Everest region of Thami in 1946, Rinpoche was recognized soon afterwards by His Holiness Tulshig Rinpoche and five other lamas as the reincarnation of the great yogi Kunsang Yeshe. Rinpoche was taken under the care of FPMT’s founder Lama Thubten Yeshe, soon after leaving Tibet, in Buxa Duar, India, in the early 1960’s. Rinpoche was with Lama Yeshe until 1984 when Lama Yeshe passed away and Lama Zopa Rinpoche took over as spiritual director of FPMT Rinpoche’s kindness is legendary. More details of Rinpoche’s ongoing philanthropy can be followed through the Lama Zopa Rinpoche Bodhichitta Fund News. Everyone is welcome to attend any puja. A puja is a prayer gathering. The word puja comes from the Sanskrit for homage or offerings. Pujas are based on the seven limbs of spiritual practice: prostrating, offering, regretting mistakes, rejoicing, asking the guru to remain and teach, and dedicating results of positive actions. At Thubten Kunga Ling, we practice Guru Puja and Medicine Buddha Puja monthly. Pujas are done in English and you can always just read along to get a feel for what it’s about, no need to participate until you understand. Puja practice extends beyond recitation but as a practice it includes preparing the setup and takedown of the gompa and offerings. We encourage everyone to arrive a little early to help out. Guru Puja is a gathering to praise the good qualities of the teacher. 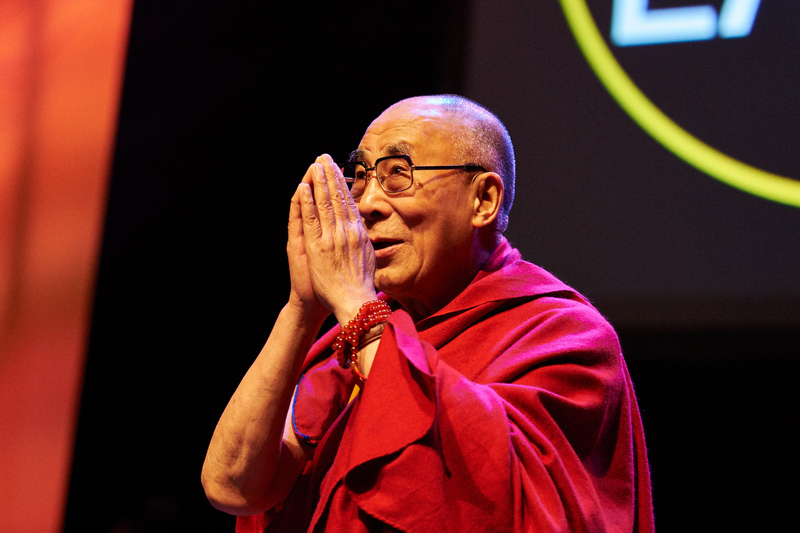 Guru is the Sanskrit word for teacher and lama is teacher in Tibetan. Teacher has a special meaning in Tibetan Buddhism. A guru is a very fully qualified spiritual master. The word literally means someone who is heavy with good qualities. A “root guru” is a teacher who has profoundly turned your mind towards the Dharma. The seven Medicine Buddhas manifested in order to pacify the obstacles to the achievement of temporary happiness, liberation and the ultimate happiness of full enlightenment. They are powerful in healing diseases as well as for purification. The Medicine Buddha practice can be used to help purify those who have already died and liberate them from suffering. It is also very powerful in bringing about success, both temporary and ultimate. The reason why the Medicine Buddha practice brings success is that in the past when the seven Medicine Buddhas were bodhisattvas practicing the path to enlightenment, they promised and made extensive prayers to actualize all the prayers of living beings of the degenerate time when the teachings of Shakyamuni Buddha are in decline. They generated a very strong intention to become enlightened for this reason; this was their motivation for meditating on and actualizing the path. Citing the Vinaya text Treasure of Quotations and Logic, Lama Zopa Rinpoche says the karmic actions are multiplied by 100 million times on buddha days, so these are good days to think positive thoughts especially when engaging in practices like the one-day vows (Eight Mahayana Precepts), reciting sutras, pujas, and making offerings to dharma centers, teachers and the sangha. They are based on the Tibetan lunar calendar so the dates vary from year to year. Monlam marks a period when Lord Buddha performed many miracles, beginning with Losar (the Tibetan New Year) on the first day and culminating on the fifteenth day, Chotrul Düchen (the Day of Miracles). Monlam Chenmo, or the Great Prayer Festival, was established by Lama Tsongkhapa, the founder of the Gelug tradition of Tibetan Buddhism, in 1409. Lama Tsongkhapa chose the Monlam Chenmo to coincide with the anniversary of Shakyamuni Buddha’s display of miracles. Saka Dawa is considered to be the most important month of the year for practice since Buddha's birth, enlightenment and parinirvana all fall within this period according to Tibetan tradition. It is the fourth month of the Tibetan lunar calendar. Saka Dawa Düchen occurs on the full moon (the 15th day) of the fourth Tibetan lunar month. Lord Buddha’s first teaching at Sarnath (Deer Park) on The Four Noble Truths. It occurs on the fourth day of the sixth Tibetan lunar month. Lord Buddha’s mother was reborn in Tushita heaven. To repay her kindness and to liberate her from cyclic existence, Lord Buddha spent three months there teaching his mother. Lha Bab Düchen celebrates the return of Lord Buddha from Tushita. It occurs on the 22nd day of the ninth Tibetan month. The anniversary of Lama Tsongkhapa’s enlightenment. Lama Tsongkhapa is considered one of the main teachers and founder of what is now known as the Gelug school of Tibetan Buddhism. It occurs on the 25th day of the tenth Tibetan lunar month.